It’s obvious how the seasons bounty and weather can dictate how we eat, cook, and bake. I am totally one to go outside to grill if it’s way too hot to turn on the oven or stand over a stove. I also make meals early in the morning or stick to simple salads on those super hot days and wait for things to warm up in the cold frigid winter. We totally have air conditioning, so if for some reason I don’t get to it early enough, it’s not that big of a deal. But who wants to heat their kitchen with an oven on a hot afternoon if you can avoid it? So now you know how I get my desserts in, even cake, in the hot Summer. Bake in the morning! I really could not be complaining about heat anyhow. We live in a place where it gets over ninety just a handful of times every Summer. But when it is hot, like it is today and has been for several days, it feels hot, like really hot. So I’ll minimize the complaining and empathize with you all that live in hot places. I used to live in over one hundred degree land many days of the Summer in Sacramento, so I know what it’s like. And I am not a fan. I am a seventy to eighty degree fan. 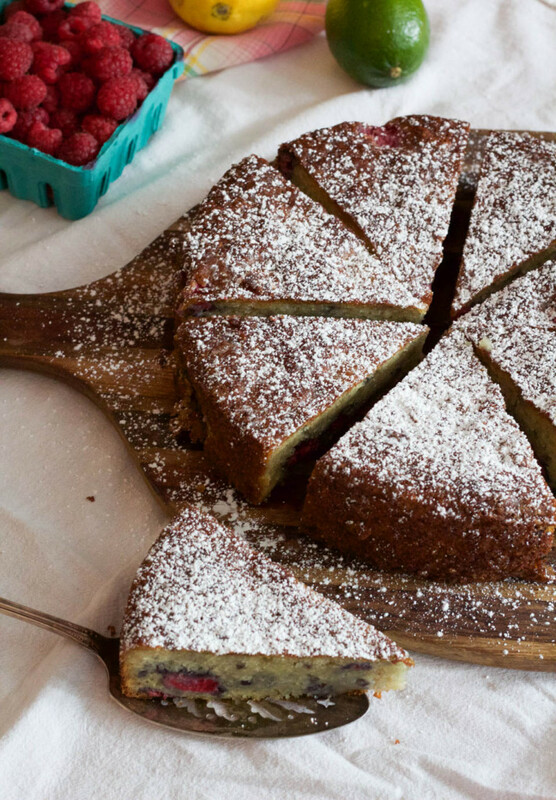 Enjoy this berry yogurt cake with fresh in the summer or use frozen berries when they are not in season for a sweeter better berry flavor. 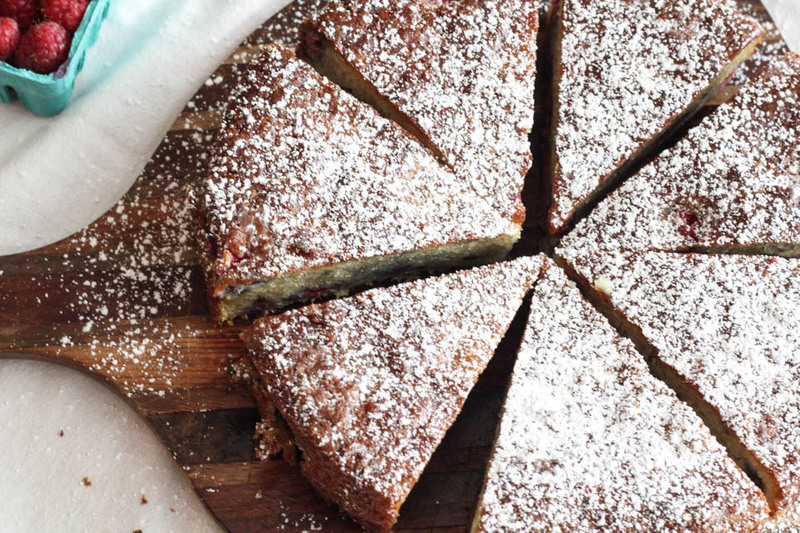 This cake is perfect for brunch or a sweet treat with a cup of coffee or tea. Place oven rack in center of oven and preheat to 350 degrees. Spray a 9 inch cake pan with oil spray, or use a paper towel with oil to coat pan evenly. Line bottom of cake pan with parchment paper. Place flour, sugar, baking powder, and salt in a large bowl, whisk to combine. Place eggs, yogurt, melted butter, and citrus zest and juice in a medium bowl, whisk using a fork to combine. Add egg mixture to flour mixture. Use a large spatula to carefully combine by folding into flour. Do not over mix, it can create a tough dense cake texture. Add 3/4 cup berries to the cake batter, carefully fold in a couple of times. Pour batter into cake pan, and evenly top cake with remaining berries. Place in oven and bake for 50-55 minutes, or until golden brown and toothpick comes out clean from center. Remove cake from oven and allow to cool for 10 minutes. Remove from cake pan and place on cooling rack for 10 minutes before slicing and serving. 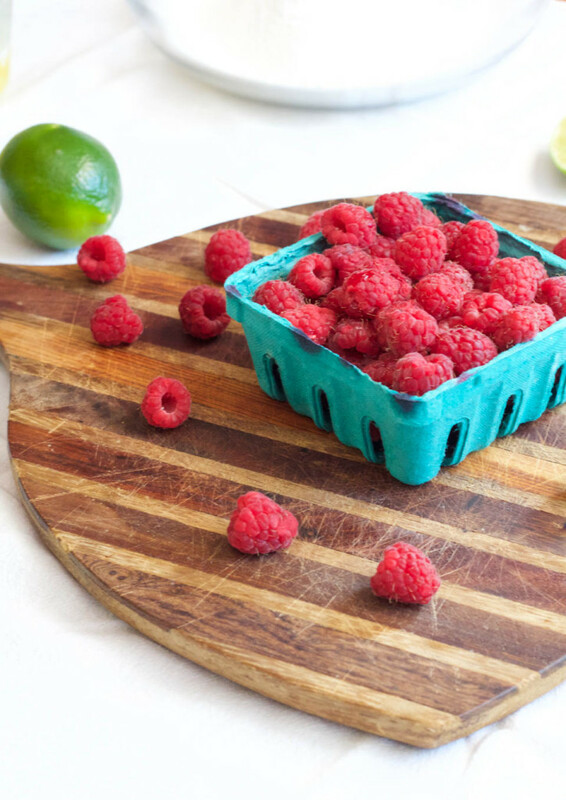 Serve with fresh whipped cream, fresh berries, both, or simply as is! Dust top with powdered sugar if desired. Store leftovers in an airtight container in fridge for up to 3 days. Here are some other delicious recipes with berries on Not Just Baked! I’d love a slice of this with a cup of hot coffee. YUM! I love how simple and quick this cake is! Nothing fan to stress over, or frost…perfect for a easy last minute dessert! Exactly! I love an easy cake recipe for this time if year. This looks soooo good! I’m using yogurt more and more in recipes. I even have frozen raspberries in my freezer so I’m probably going to be trying this very soon! 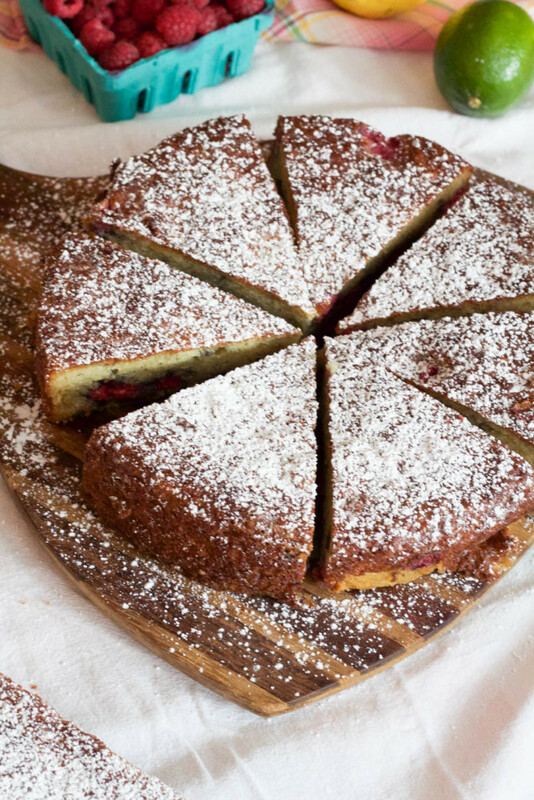 I love fresh berries in simple cakes like this! The fruit stands out on it’s on, you don’t need much else! I am right there with you. Simple! Cake! This looks so delicious! It’s also exactly the kind of thing I make when we’re swimming in too many berries or too much stone fruit. So good! So true. I still have raspberries I haven/t eaten or used from last week! I’m going to freeze them for later. Thanks, Liz! Me too, I can’t get enough of them.